If you’re injured in New Zealand or your partner suffers a fatal injury, the first thing you need to do is to get assistance from ACC. This assistance is designed to meet your injury related needs for health, social support, financial support and rehabilitation. Learn what you can do if you’re injured and need help from ACC or you’ve received an adverse decision from ACC. We can sometimes help people solve their problems with ACC however we’re very busy with research and often can’t help. 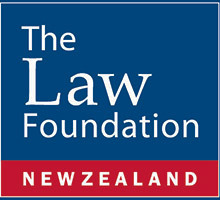 The New Zealand Law Foundation has supported our work to make access to justice more effective. Read more here. There are other people who can help you to solve problems with ACC. You can contact them to see if they can help. Tell the Government what you think about its draft response to the UN list of issues about ACC.